Menominee Saw & Supply was established in 1897 and is located in the heart of hardwood country in Michigan’s Upper Peninsula. It started out as the saw filing facility for the Wells Lumber Company located in Menominee, Michigan. 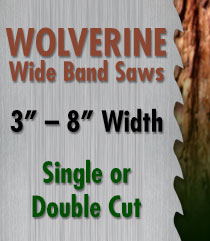 As the lumber industry grew in the northern Great Lakes area, a need for saw filing services and sawmill supplies became more prevalent. Menominee Saw & Supply has striven to fill that need. The Menominee Saw & Supply Company remained in the Wells family until 1979 when it was purchased by Ben Mroz. The facility was housed in a 2,000 square foot facility and employed five people. With business growing and work space shrinking, in 1984 the company moved to a new 10,000 square foot facility that soon became too small to house the round saw and band saw operations. In 1997 a second 15,000 square foot facility was purchased and now houses Menominee Saw & Supply's band saw manufacturing and service division. The company now employs over 40 people and covers the entire Midwest with sales and service. Our goal is to provide customers with fast, friendly and accurate information and the products to help them achieve their objectives. 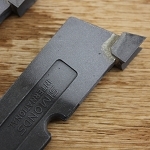 We can supply the proper equipment, tooling and training to use them. Our professional staff has the experience and knowledge to help our valued customers become more profitable. Our management and sales team have over 100 years of combined experience in the industry. 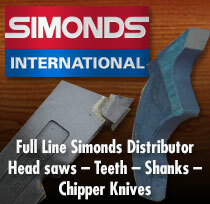 We have the knowledge to provide you with affordable solutions to your toughest sawing problems.